I just got off the phone with one of our favorite clients, Stuart Gulley, the president of Woodward Academy (an independent prep-school in Atlanta). He shared a story with me about a challenge he and the whole community faced recently. His story brought tears to my eyes (all be they manly tears) and I wanted to share it with you. 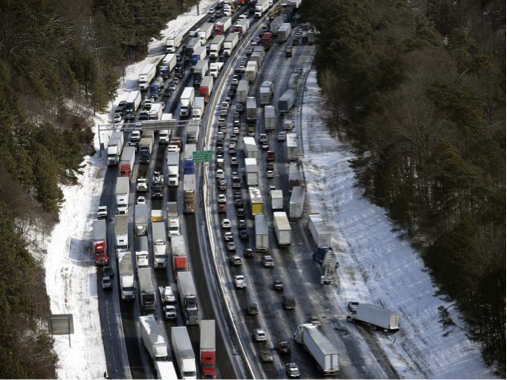 In the midst of the meteorological uncertainty that led to “Snowmageddon” two weeks ago here in Atlanta, Woodward, like every other school, business, and government entity, reacted too late to avoid disaster. One of the most unfortunate outcomes for Woodward was that hundreds of students as young as elementary school were stuck on buses going to 23 different counties across Atlanta for as much as twelve hours with no food, water, or bathrooms—just warmth. Stuart said there had never been a time in his life he felt such “helplessness and despair.” In the midst of this challenge, indeed maybe because of it, Stuart had the opportunity to consider the core of who he wanted to be as a leader. If he chose, there were plenty of people and entities to blame: local weather forecasters, the government, even the larger school community— “everyone else is still in school.” But that’s not who Stuart wanted to be. Instead, he chose to take full responsibility and apologized in a letter to the Woodward community. He also decided to recognize each of the 45, often overlooked bus drivers with a check for $1,000. The challenge of those circumstances, unlike any he had faced in 30 years as an educator, brought into hyper-focus a decision about who he would be as a leader. Stuart’s decision not to blame, to take responsibility, and to thank these unsung heroes in such a tangible way evoked an overwhelming response from the Woodward community. See, the challenge of the circumstances gave them a clarity as well; a clarity about what mattered most to them about the character of their leaders. At the Lyceum we talk about challenging circumstances that contradict our current understanding as the fuel for growth. We define growth as an increasingly clear, self-authored understanding of who we are and who we want to be. So many of the challenges we face can be swept under the rug, and when they are they lose their energy to fuel growth. Neither Stuart nor many in the Woodward community will ever be the same because they leaned into a challenge that provided a new self-authored clarity about what mattered most to them. My hope for all of us is when we find ourselves in the midst of challenges that contradict our current understanding, we will chose to lean into them in ways that give us a new clarity—a self-authored understanding of who we want to be. That’s what the growth that increases our effectiveness is all about. Check out this local news story about the gift to the drivers. It’s worth the 2 minutes.